Get me out of this prison!!!! 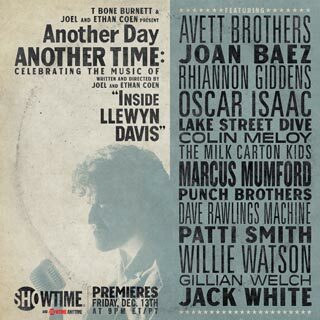 You’ll hear a bit of that tune in a documentary called, “Another Day, Another Time.” The film, embedded below, features mostly folk and old tyme American music. 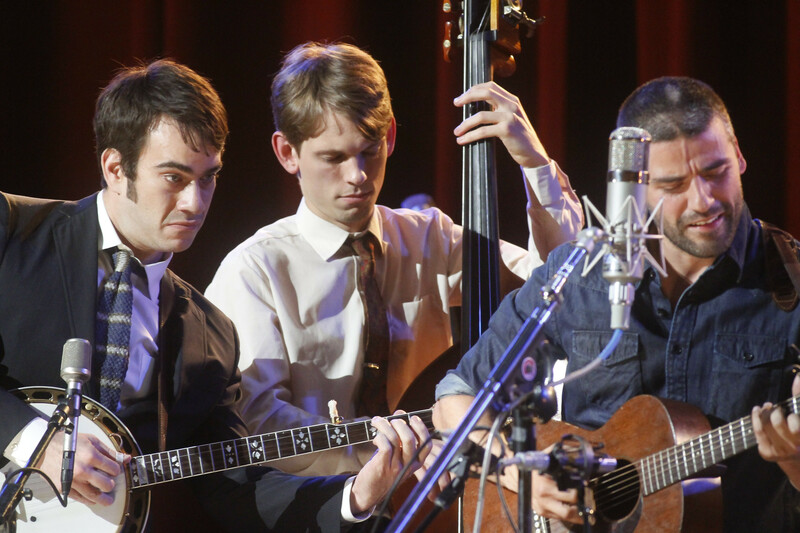 Producer T. Bone Burnett got a bunch of very fine musicians together to celebrate the traditional approach to music, and the movie gives us both on stage and off stage performances. Spanning decades, these songs continue to touch people, which is why they prevail. They reach something inside us. You don’t have to be a criminal or a con to appreciate them. As I listened to all these prison songs, it came to me that so many of us, whether we have been in a cell or not, must fell imprisoned. I believe it’s these feelings that keep such songs with us and inspire new ones. Johnny Cash is famous for his “Folsom Prison Blues,” where a man convicted of killing someone “just to watch him die” longs for freedom and is incensed every time a train filled with free people passes near his cell. The song is so convincing many believe Cash served time in Folsom. Not so. He wrote the song while in the Air Force, stuck at a base in Germany and longing to once again be his own man. So the song was a metaphor for him, and for us. Why do we feel this way? Where do our shackles come from? More important, how can we get rid of them? Someone once told me if you build a prison, it will fill up. Conversely, if a prison is full, criminals will be let out. From this it is easy to conclude that a person who normally would be free might get locked up, and a person who normally would be jailed might go free. Both are frightening thoughts. Neither says much about justice. More frightening is the widely known but often ignored fact that the United States puts more people behind bars than any other nation. That figure is about 2 million. 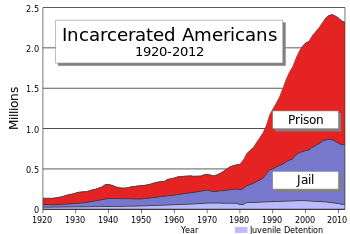 The U.S. population has increased by about one-third since 1980, but the federal prison population has grown by about 800 percent. Yet we still call ourselves the land of the free. So it goes. I wish I understood why. I wish there was someone who could explain these problems and come up with a method to reverse them. Well, sometimes things reverse themselves. 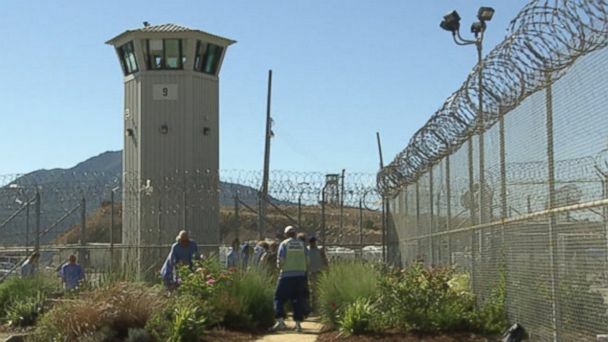 A recent story that was basically overlooked said that the federal prison population has declined by 4,800 inmates. This is the first decline in a decade. And it turns out that the populations in state and county lockups have been dropping for the past five years. Fine, but no one explained why. It is doubtful our government has the ability to stop crime. Government can take credit for it, but that doesn’t mean it’s true. After crime dropped years ago, improvements in law enforcement were credited. Later, under the category of Freakanomics, it was determined that the drop in crime occurred about 18 years after the legalization of abortion. This means that there was was less crime because fewer criminals were born. Abortion may not be behind these new figures, but fewer criminals being born may be. A running demographic trend called the “baby bust” has now caused a decline in the number of young adults, the same people who commit most crimes. 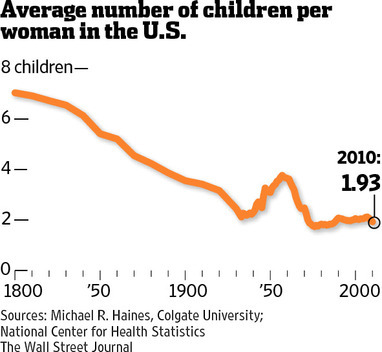 A bad economy, it seems, affects childbirth, and the economy hasn’t been good for quite some time. It is said that the recession of 2008 alone resulted in a half million fewer births. I’m familiar with the baby bust because I’ve seen its impact on higher education. With fewer students of college age, enrollments are declining at colleges and universities across the nation. “They can’t go to college if they haven’t been born,” one educator explained. In 1900, Mark Twain looked for some linkage between crime and education and said, “Every time you close a school, you have to build a jail.” While the reserve could be true, new colleges aren’t needed right now because of the enrollment decline. But because of the savings from the decline in prison population – the feds spend $80 billion a year on incarceration — money could be available to help students with tuition. What a great nation ours would be if, like some others, we made it easy and cheap for young people to get an education. But we still would have the empty prisons and we’ll need to figure out what to do with them. Maybe we can just let them rot. They can become sad displays of a culture that with a blind eye created and nourished the darker side of humanity. But a demographic bump doesn’t permanently correct a problem. So a better idea might be to turn the prisons into factories, which will improve the economy, which will increase the birth rate, which will create more crime, which will require more prisons. At that point, we can close the factories, open the prisons, and wait for economy to go bad and the birth rate to drop again. That sounds so right it has got to be wrong. But I’m not hearing much better from the experts. Do you think we can put a little pressure on them? Or should we just wait until everything fixes itself? Actually, this seems much more likely. If Americans eat an incredible number of hamburgers, is it fair and safe to say that Americans like hamburgers? If Americans shoot and kill an incredible number of Americans, is it fair and safe to say Americans like to shoot and kill Americans? I want to describe the phenomena here but the precise words elude me. We can say Americans have a propensity to shoot and kill other Americans. Or they have a tendency, or are apt to. Proclivity. Predisposition. Propensity. Penchant. Inclination. None of these words work. None of them say it. Take Iceland. According to the New York Times, statistics show that Icelanders do not like, and do not have a tendency or propensity, to shoot and kill other Icelanders. On average, 30 out of every 100 Icelanders have firearms, but figures show that in a recent year no Icelander shot and killed another. The Norwegians are similar. There are an average of 30 firearms for every 100 resident of Norway, yet there were only two homicides with these weapons in a year’s time. Other countries with very low rates of firearm homicides are Slovenia, Luxembourg, Hungary and Estonia. Yes, these are small countries, so the number of deaths naturally is low, but so is the rate of deaths per 100,000. That rate in Norway, for example, is 0.5; in Slovenia it is 0.1. The New York Times statistics say that in the U.S., where there are an average of 89 firearms per 100 people, the yearly death toll is 9,960. The firearms death rate is 3.2 per 100,000 people. One country that seems to exceed the U.S. in animosity toward itself is nearby Mexico. While there are only about 15 guns per 100 people in Mexico, Mexicans shoot and kill 11,309 Mexicans in a year. That’s a rate of 10 deaths per 100,000. I don’t know whether we have influenced our neighbors to the south, but we haven’t done so to our neighbors in the north. Canada has a lot of guns, about 31 per 100 people, but Canadians have kill only 173 people, a rate of 0.5. So, for me the question is this: Can gun control legislation stop hateful, angry, maladjusted, blood-thirsty people from killing? If it is true we “like” to shoot and kill other Americans, will legislation stop this? Gun control legislation tries to hold down the lid. I’d prefer we lower the burner. I guess this amounts to social engineering of some sort, which is always dangerous, risky and inexact. But I’m curious if anyone has studied the cultures of Iceland and Norway and Canada to find out what makes people different there. I’d really like to know. I tend to think the American system, with its roots in merit and competition, has pressures and stresses and failures that other nations don’t have, and because we are so used to them – like a fish in water – we are not even aware they exist. They do, however, influence how we treat each other. Merit and competition, I find, are good things. Not so much failure. Is there a way to prevent abject failure? Is there a way to keep people off the street and in homes; out of prison and productive; with a job that ensures a life of reasonable dignity? Our tendency to shoot and kill each other tells us things about our society that we like to ignore. I wish we would stop this. I wish we would face ourselves and correct ourselves and better ourselves. It’s possible we may find out the secret solutions are relatively simple. A man who taught for several decades in prisons did an informal study of the students who returned to him and those who did not. He found a correlation between recidivism and marriage. Every single ex-con who married when he got out never came back. The results were conclusive and definitive. Let’s try something like that. A wife/husband, a job and an apartment. To some who would shoot you just as soon as he would look at you, that equates to paradise. Paradise, I would guess, is the answer to just about everything.